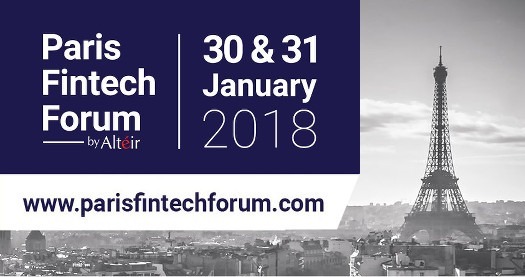 Olivier Berthier, chief executive officer and co-founder at Moneythor, the specialist provider of AI-based personalisation for digital banking, will present use cases and best practices at Paris Fintech Forum on 30 & 31 January 2018. Following the success of the 2017 edition, Paris Fintech Forum 2018, organised by Altéir with the support of 60+ international partners, will again gather 2,000+ attendees over 2 days in the heart of Paris to listen to 200+ CEO’s and C-level executives from banks, insurance companies, telcos, regulators and fintech firms from all continents. For more information about the event, visit http://www.parisfintechforum.com/ or contact our team.